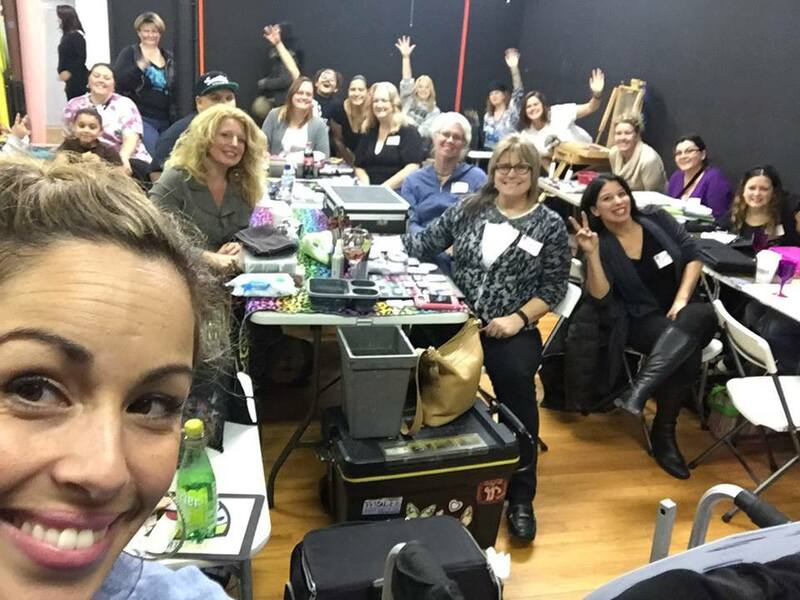 I just returned home from a super busy week hosting jams and workshops in North and South Jersey. I have mentioned it before, I am a nervous nelly when it comes to flying. It takes a lot of courage and energy to boost myself up to get on the plane. But from the moment I landed I had a GREAT feeling about this trip. I planned it very last minute and being that it was so close to the Holidays I wasn’t expecting the turnout that made it. The main reason I travel to host jams and workshops it to help promote community and fellowship amongst painters. Most of us are part to full time entrepreneurs in this field and it gets hard to stay motivated. Every time I host a jam I leave invigorated and excited to paint. Guilds ( also known as fax sand body art clubs) are dying out. I hate that. 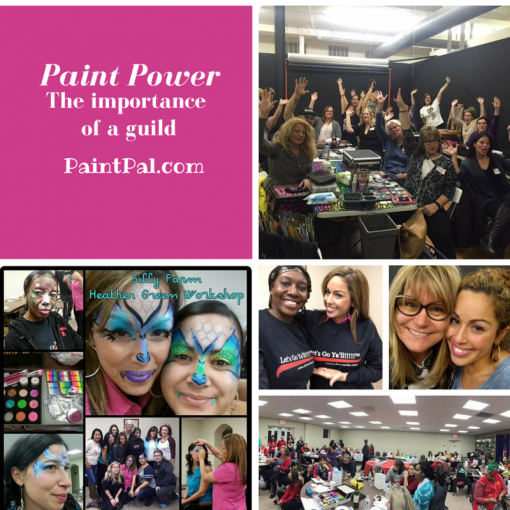 Our very own South Florida guild fell apart because it takes commitment. Every year I try to make a stop at the NJ Face and Body Art Guild to catch up with old friends and remind them what a special treasure they have with their guild. Diane Spadola, ran that guild for many years and put her heart into seeing it grow. And boy has it! We had a blast jamming, sharing ideas, enjoying a Holiday meal and catching up with on another. Our industry is very rare. YES, there are a select few that don’t like to share, but for the most part we share so much. And when you have a guild that helps keep the sharing consistent its a great benefit. 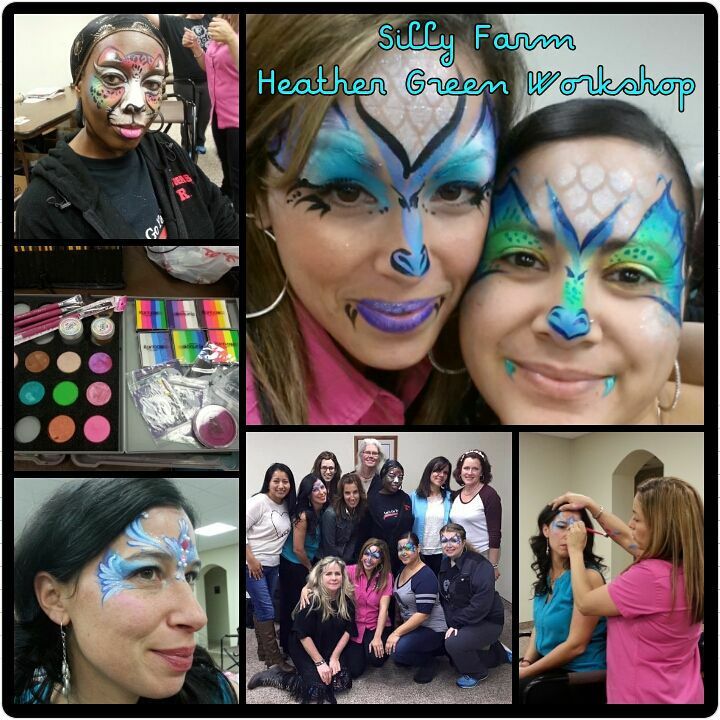 When I was invited to join the NJ Face and Body Art Guild holiday party I decided to make a stop in South Jersey/ Philly area. I called on my friend XS Artistry (Xiomara) to help me get the word out and it was perfect. The turn out was amazing. I got a chance to catch up with old friends like Cheryl Baldorossi and meet new friends like Margi and Drea of DreamArt faces. The crowd was so enthusiastic because they really hadn’t gotten together in a while and enjoyed the energy that flowed from the room. Many of them take the trip to North Jersey just so they can participate in a guild. My hopes are that they can continue to build a guild in that area, and grow their networks. Guilds are important because they help stimulate our industry. Face painting has long been regarded as a hobby rather than a profession and its up to us to change that label. When we gather together, share ideas, and inspire new goals our industry grows. I also taught a new workshop. I have been spending lots of time investing in the business side of business and how I can help other artists apply it to their lives. So I created a workshop called the Secret Recipe workshop where we mixed business and color. This was a first for me and I was nervous about how it would be received. I like to remind painters that being a good artist is important, but being a good business person and understanding your clients is crucial if you want to grow your business. We had such a great time and I was so impressed at their effort. Its not always easy to confront your fears, and its not always “fun” to put aside the paint brush and talk about business. But we made it happen and I am going to make sure that I give them the extra push as we head into the new year. I want to thank each of you that come out to see and jam with me. This trip was so filled with love, support, friendship and art. I had such a good time I forgot how about the flight home and boarded the plane without feeling scared. I am not sure if it was the wine, the people or the combination but either way it was the BEST! and more stops on the way!